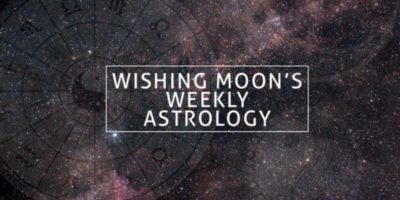 It’s often said that opposites attract and this is certainly the case for you this week, Aries. Someone who initially seems like your polar opposite could be the key to a world of adventures. Your relationship won’t necessarily be a romantic one. Instead it could be the start of a lifelong friendship filled with lessons, new experiences and different ways of thinking. By spending so much time with your ‘opposite’ you’ll be able to accentuate your best qualities while also seeing things from a different perspective. A friend, relative or partner’s birthday is just around the corner and you’re keen to go ‘all out’ to show them what they mean to you. Don’t fret too much about making everything perfect. Those close to you know full well just how much you care. It’s written all over your face! Make sure you’re getting the respect you deserve this week. You’re a fantastic friend and loyal confidant, but make sure no one’s taking advantage of your reliable and caring nature. It’s often said that a bird in the hand is worth two in the bush and this is certainly the case with your friendships, Gemini. As much as you thrive upon meeting new people and making new connections, sometimes it’s better to focus on the people who are already in your life rather than looking to expand your social circle. There are people nearby who care about you a great deal and it’s vital that you don’t neglect them on your search for greater popularity. You can afford anything, Cancer, but you can’t afford everything! Not only is this the case for money and material possessions, it’s also true when it comes to your time. Don’t spread yourself too thinly this week. As much as you want to do as much as you can by being a hub of creativity, sometimes it’s best to just pick your number one dream and head for it full steam ahead. By focusing on one thing at a time, you can accomplish things quicker while minimising stress. Whether you’re aware of it yet or not, you’re about to embark on a life-changing journey. It could be physical, spiritual or emotional, but no matter what form it takes, you’re sure to emerge out the other side as a stronger person than ever before. Don’t think too much about the destination just yet. Instead, focus on the lesson-filled adventure and enjoy the ride. Stop searching for approval from those who don’t care about you, Virgo. There’s no point being a people pleaser or bending over backwards to cater for those who will never give you the level of acknowledgement that you desire. Rather than waiting for other people to give you the green light, force yourself to become comfortable with making big decisions yourself. Whether you succeed or fail, you’re the only one who you need to impress. 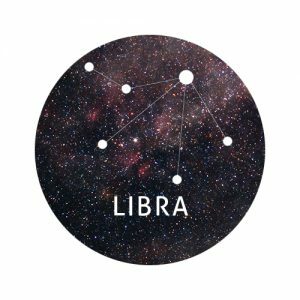 Has all the political talk been getting you down lately, Libra? If the sheer amount of news is starting to overwhelm you, it’s okay to unplug and switch off. As important as it is to stand up for your beliefs, it’s just as crucial to take time out and focus on your surroundings. Make mindfulness your number one priority this week and teach yourself to tune out external distractions. By taking a break from technology and stepping away from arguments and drama, you’re sure to gain a greater appreciation of the world around you. You can learn so much from an elderly friend or relative this week, Scorpio. Having lived a long life filled with ups and downs, their brain is likely to be overflowing with endless wisdom. Their stories are bound to be brimming with valuable lessons it’d take you decades to learn for yourself. By being a good listener and paying attention to what this person has to say, you may find yourself emerging from the encounter with a new found lease for life and determination to grab the bull by the horns. Don’t let one person’s bad behaviour tarnish your perceptions of others, Sagittarius. Just because one person might have hurt you doesn’t mean that everyone will. Have faith in other people and don’t give up on love and kindness just yet. A chance encounter with someone beautiful might knock you off your feet this week. Don’t let the opportunity pass you by. Be brave and strike up a conversation if you can. This could be the start of something beautiful. 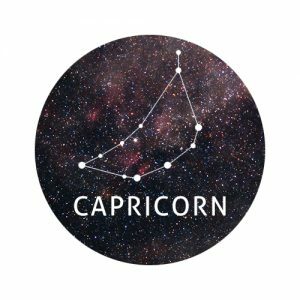 Are you dreaming of a bold career change, Capricorn? Whether you’re 25 or 65, it’s never too late to change your direction in life. Don’t just drop everything and expect to leap straight into your ideal role; a gradual change may be necessary. Try to use your spare time outside of work to meet new people and gain experience in your chosen field. By keeping your current job for as long as you can, you may be able to smoothen the transition and reap better results. Everything you do this week will have a ripple effect on the rest of the year. Try to find a balance between proceeding with caution and taking on challenges with bravery. You might receive some big news towards the end of the week that knocks you off track. By persevering and steaming past the obstacles, you’ll set yourself up for a prosperous and successful year. Expand your knowledge this week, Pisces. Whether you fine tune an existing skill or learn something completely new, this is the perfect week for self development and growth. By investing in yourself, you can open up a wealth of new opportunities. Make this a week for reflection and planning rather than activity and action. Avoid making any bold decisions and instead fill your mind with new information. Why Do Some Good People Have A Black Aura?